Today is the last day of artMRKT San Francisco. If you have time to stop by and see Kala’s booth this year, you won’t be disappointed. 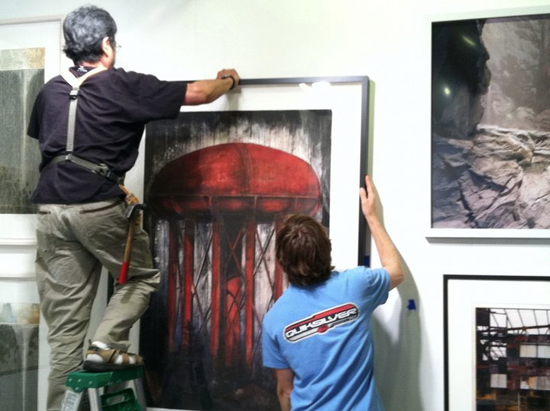 Here’s a great shot from Andrea of Dan and Gary installing the prints. This entry was posted in Events, Kala Art Institute, Openings and tagged artMRKT on May 22, 2011 by ellenheck. Through June 5, square black and white Mapplethorpe portraits are on display in three large rooms of the San Jose Museum of Art. It was not actually the reason for our going to the museum, but was definitely what we took away from the event. After three rooms and hundreds of tidily-framed prints of influential people from the 60s, 70s, and 80s, the museum has set up a small studio where you, the inspired museum-goer, can be both the photographer and photographed. 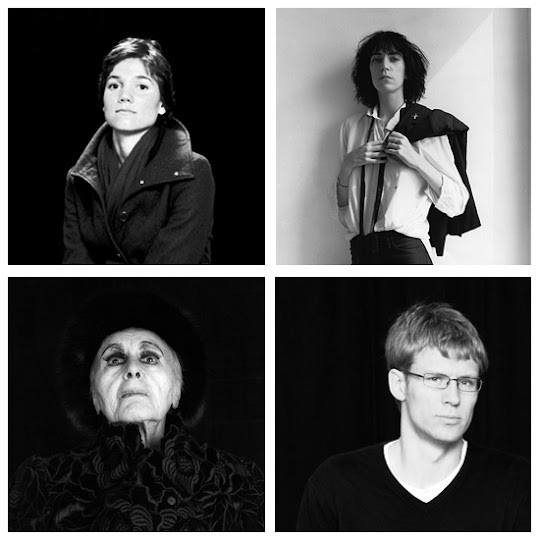 Here we are, along with Mapplethorpe’s Patti Smith and Louise Nevelson. This entry was posted in Events, From the World, Museums on May 3, 2011 by ellenheck.